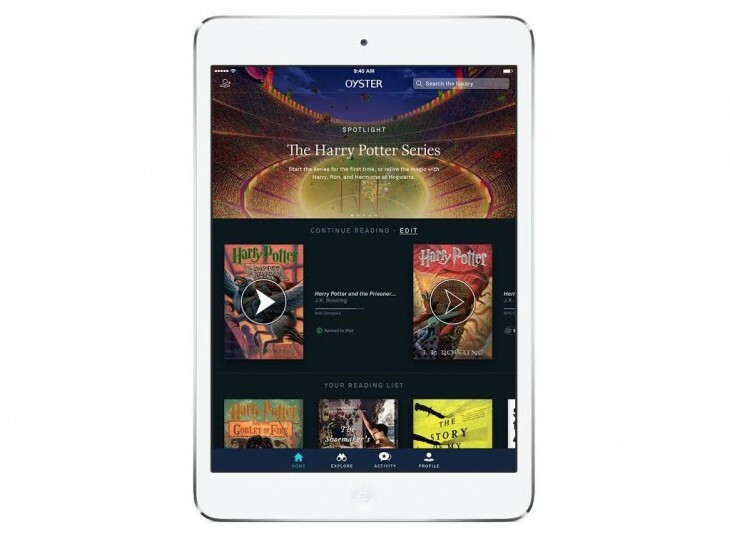 Oyster, the ebook subscription service, today announced that it has partnered with Pottermore to offer the complete ‘Harry Potter’ series for fans and new readers alike. In addition to all seven ‘Harry Potter’ books, users will also have to option to replace their Oyster’s Reader Themes by tapping the Sorting Hat to be “placed” into one of the four Hogwarts Houses. Unlike the actual Hogwarts, however, you can switch Houses if you hate where you end up. ‘Harry Potter’ is one of those series that will stay warm within our generation’s hearts, especially for those who grew up with the characters as the books progressed. While I’ve yet to personally re-read the full series since finishing them in high school, perhaps it’s time to give the books another go to see if my perspective on the characters have changed with age. Those who don’t want to re-read the beloved novels can also check out Oyster-commissioned original editorial content celebrating the series on its Web magazine, The Oyster Review. Oyster is currently available on the Web, iOS and Android, with dedicated apps on Kindle Fire tablets and Nook HD.